To reverse the latch for varied handing and opening, you would simply push and twist a philips or pozi screwdriver into a hole in the back of the lock case, therefore extending and twisting the latch 180 degrees until it faces to the opposing position. 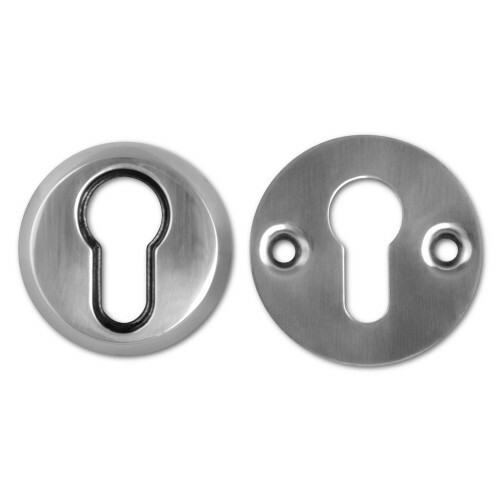 Designed to accept bolt-through furniture at the follower and the cylinder, these would be ideal for doors using bolt-through handles and escutcheons. It comes built with hardened anti-drill plates on both faces of the lock case to protect the integrity of the lock against drill attacks to the body, and is also supplied as standard with a boxed or 'full bodied' keep, granting that little bit extra security on the frame too. Hi guys, my name is Darrel and I'm head of the tech team here at LocksOnline. Thanks for taking some time to tune in and have a quick look at one of our product review videos. Now we're putting these short little videos together to be able to give you, our customers, the opportunity to see the products that we have to offer and hopefully a little bit more detail in the flesh, so to speak. 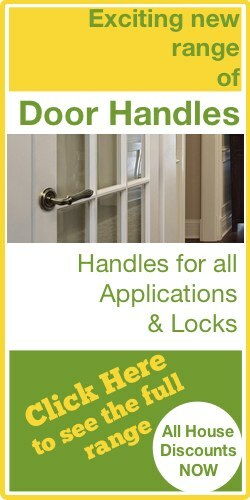 So today I want to show you a range of Euro Profile Sash Locks that we have on our website. They're branded of Asec, and this is the actual sash lock itself. Now, they come in two different sizes, this is the two-and-a-half inch sash lock but they also come in a three inch sash lock as well, so a little bit deeper; in other words, this will sit a little bit further, but let's talk about the two-and-a-half inch because that's what we have here in front of us today. As you can see it has this lovely silver finish here, stainless steel sort of effect finish. There's also a brass finish available. 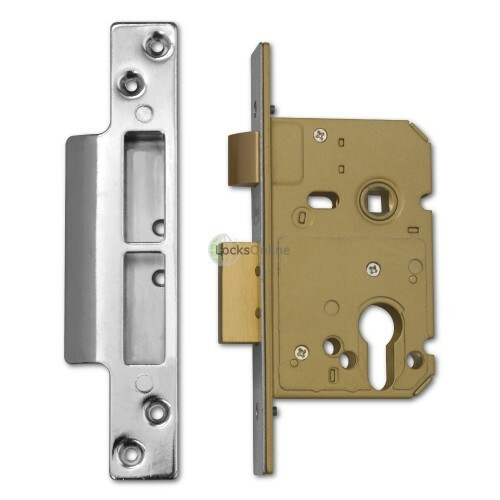 Now the latch here can be rotated depending on the handing of your door, and that's simply by putting in a Phillips screwdriver or a Pozi screwdriver in there and pushing hard, and it will push the latch out, twist it round, pop it back in, and that's it. So that's how easy it is to do the handling on this particular lock. 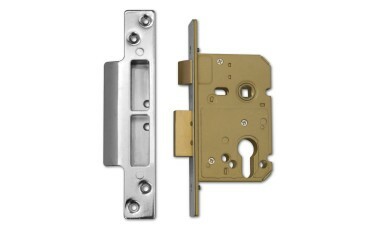 Some of the other key features that this lock has, also, is the, you have an anti-drill faceplate here on the outside, so therefore they're making it a little bit harder to drill this lock out in the event for security applications. Also, as well, you will notice we've got some holes around the actual cylinder, and there's also some holes up here as well. So therefore, then, it will allow bolt-through escutcheons or some form of security escutcheon that can be fitted and also bolt-through door furniture as well. So, that's quite important in respects to that. The actual keep here, that's the actual standard keep, and that therefore, then, is part of the actual part that goes in to the frame then. That's what we call in the industry a full-body keep there. So therefore they're providing a lot of security in that respect. Also, it notes on here...I don't know if you can actually zoom in enough there...but there is anti-saw protection actually in the bolt itself. So there is actual great advantage to using this particular type. So it has its places, of course, we do a lovely range of Euro Profile cylinders and so forth, thumb turn or similar like that, and of course having a cylinder lock like that means that you don't have to be carrying one of the big old-fashioned keys around with you, carry something more like a Yale type key, which is a lot more convenient. Of course, you can key all of these alike as well, the cylinders, etc., that will fit into this particular lock, or you might have sash locks there and dead locks over there and etc., in which case then you can have it all on a Euro Profile master key system even. So, that's one of the distinct advantages of this type of set-up. So I'll do very, very quickly is I get some fixings for you, so on this particular...Sorry some measurements for you, on this particular lock the overall lock size there, as you can see there is about 68 millimetres. The backset there on this particular lock here is right about 47 millimetres. The PZ head measurement is about 48 millimetres and that's measured from the centre of the follower there to the centre of the keyhole, where you actually put your key in. 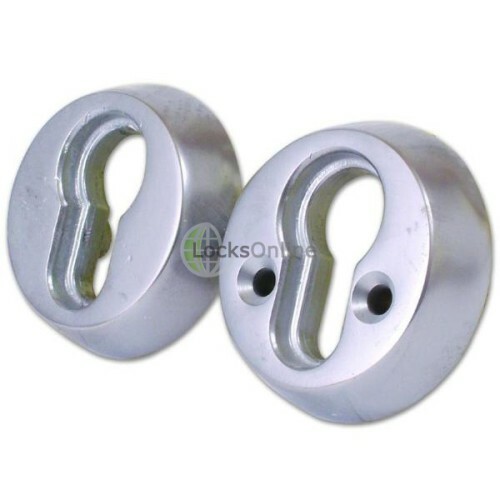 So if you're looking for some full bodied furniture for this particular type of lock, make sure you get your 48 millimetre centres in respect to that. The actual case width there is about 15 millimetres. The fore end width there is about, well is 25 millimetres, and the fore end also, from one end to the other then is 165 millimetres. So there you go guys; just one of the products that we have there on our website. But if you need a bit more information on these or any of the products that we have, you can always pop us over an email, use the live chat that we have, or simply pick up the phone and give up a call. Either way, we'd love to hear from your and, more importantly, we'd love to see you as one of our customers. So, from me, Darrel, and all of us at the team, thanks for taking the time to tune in. I hope to catch up with you real soon, take care now, bye.